These are Generally Shortcut Keys in Computer System & Very Important too. These Shortcut Keys are daily useful in Computer. 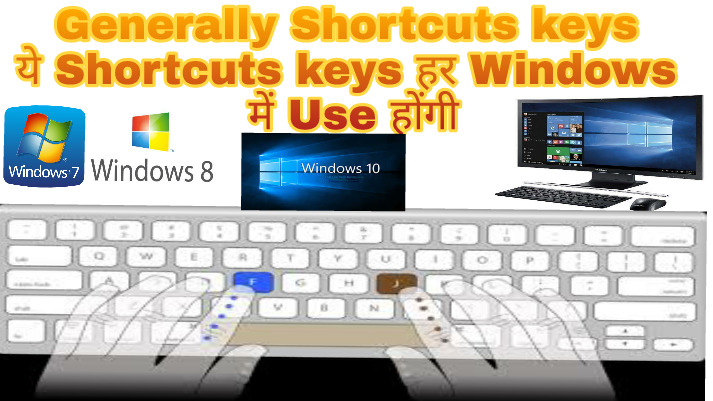 These Shortcut keys are supported any Windows and any system because it's a Common Shortcut Keys. These Shortcut keys use in Ms-Excel, Ms-Word, Desktop, and during Internet use too.